There’s nothing fancy behind the scenes, just a text file with a list of words from which a random one is selected. 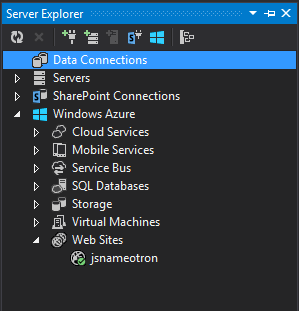 There’s a nice integration of Azure and Visual Studio, in the server window you can see your Azure properties. 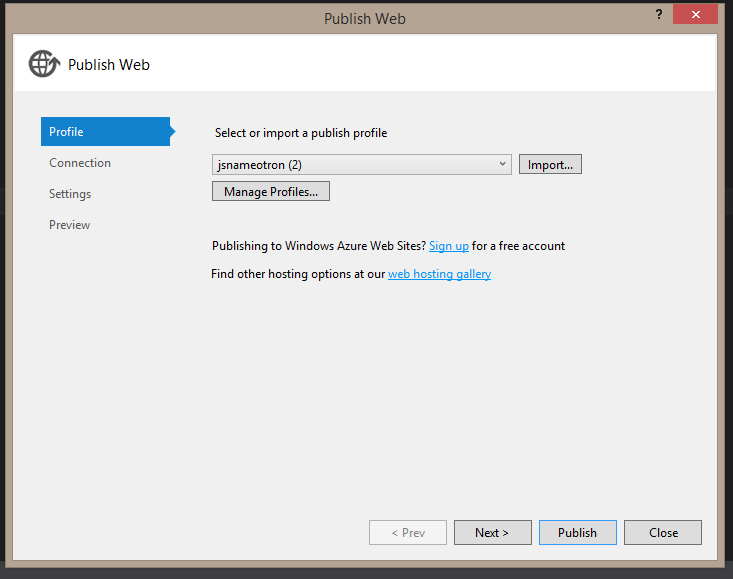 You can even create Azure web sites directly from within Visual Studio. 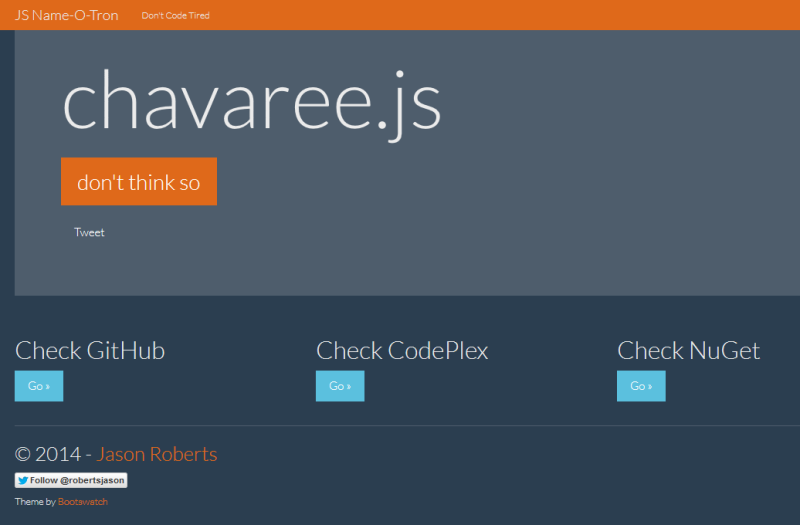 To publish the site (source code was local on my machine) I published directly from inside Visual Studio. I started doing some custom Bootstrap CSS styling but as this is just a bit of fun I didn’t want to spend too much time. I searched around for some free Bootstrap themes and settled on the Superhero theme from Bootswatch. Let me know if you can think of any other cool features to add.